Kevin McCloud has a lot to answer for! Over recent years, home improvement programmes on TV have moved away from simply offering advice about interiors, with many, such as Grand Designs, now inspiring consumers about ways that they can make larger changes to their homes. These contemporary living spaces that are created often use great expanses of glass to flood rooms with light and create a great sense of space. One of the products featured many times on Grand Designs, and now enjoying great success across the UK, is the bi-fold sliding door. Often shown initially on TV as a way to add light to dreary rooms these doors are now increasingly being used on conservatories – with additional structural implications that need to be clearly understood! When fulfilling the demand for these bigger openings conservatory retailers need to take account of the increased loads that bear onto these longer spans of eaves beam. 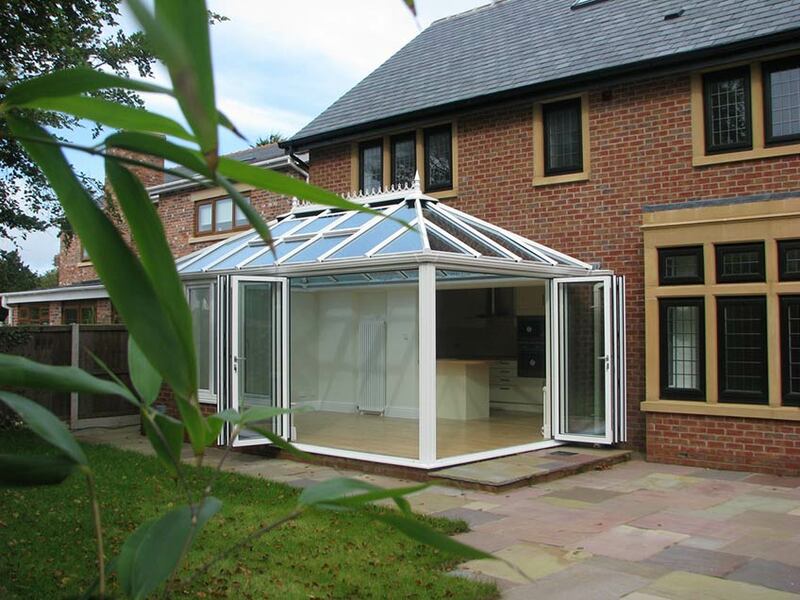 As a pioneer in the conservatory industry and a dedicated roofing specialist, Ultraframe has taken it upon itself to provide a technically elegant solution to ensure the structural stability of a conservatory which is fitted with this type of door. Ultraframe have created a `beefier’ Super Duty Eaves Beam for its Classic system that sits 38mm taller than its standard product and which allows for door openings which are much wider than normal without the need for a ‘goal-post’ portal arrangement. The Super Duty eaves beam has been trialled over recent months in the European market and is now available to UK users of the Ultraframe Classic system. The great news for fitters is that the new product is effectively a `big brother’ to the existing eaves beam, and so goes together in the same way and interfaces smoothly with box gutter systems and the Gable Support product. The renowned R&D team at Ultraframe have worked hard to create this solution but what is its performance like? Take a typical 4m width Georgian with 4-16-4 units and in a 0.6 snow load area - the Super Duty Eaves Beam allows opening spans of up to 3600mm (virtually the whole of the front elevation) compared to 2300mm for the standard beam – so significantly enhanced performance is delivered. The Super Duty Eaves Beam is available on Classic roofs purchased either through local Fabricators or on roofs built at Ultraframe`s own factory. A 12-page technical specification guide is available to assist retailers in the correct design and specification of these larger openings. The detailed guide assists installers with different door arrangements which may require the new eaves beam such as doors into the front elevation of a lean-to or side elevation of a gable – Ultraframe is renowned in the industry not only for superior products but also, for the highly detailed guides which are available to support fitters, particularly with new products such as the Super Duty Eaves Beam. 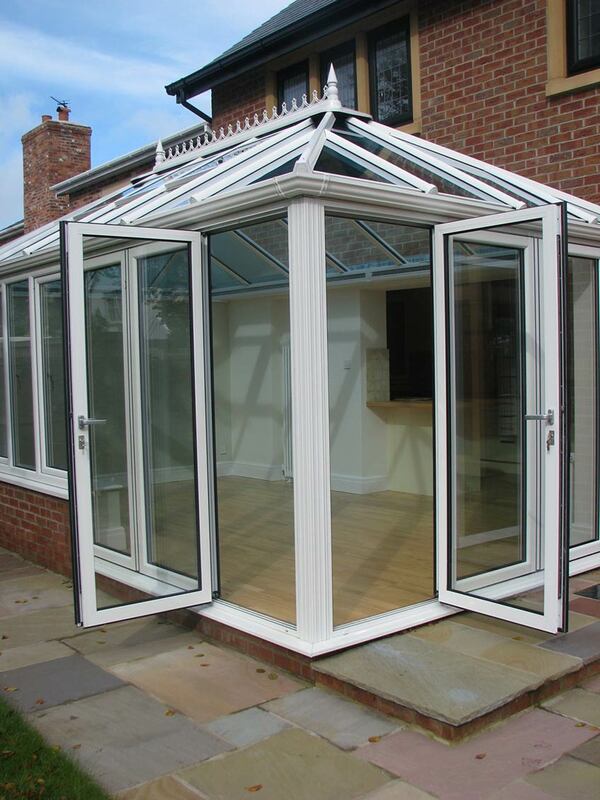 Ultraframe feels that the lions share of its sales of these enhanced roofs will be to those who are already either making their own doors or buying in doors. However, to make life easier for those who are new to folding/sliding doors, the company can also provide aluminium folding/sliding doors if required, for a total one-stop-shop solution. The doors are available in a variety of panel configurations (2, 3, 4, 5 and 6) and widths and come in white as standard, although other RAL colours are available. 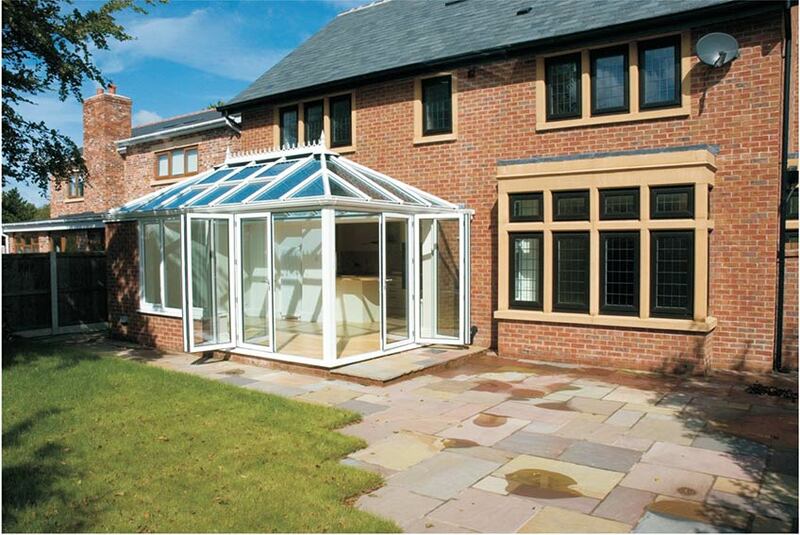 Doors are glazed with a 28mm sealed unit and feature a centre pane ‘U’ value of 1.2.